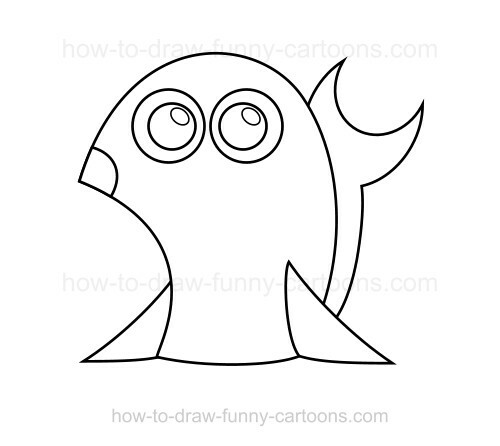 Great creatures from the sea, learn how to draw a seal using only six easy steps. Seals are fun animals to draw. 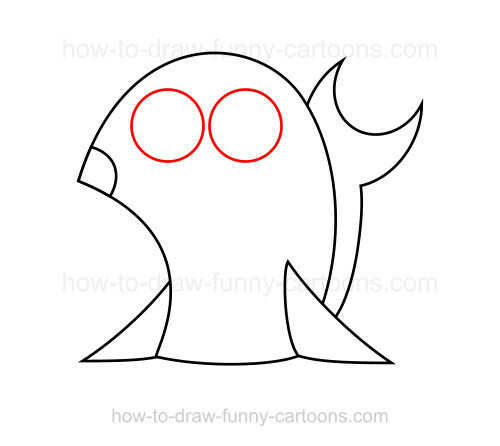 Unlike a horse or a gorilla that requires more technical skills, illustrating a seal is relatively easy if you know how to sketch simple curved lines. Below is the final illustration filled with grey colors. 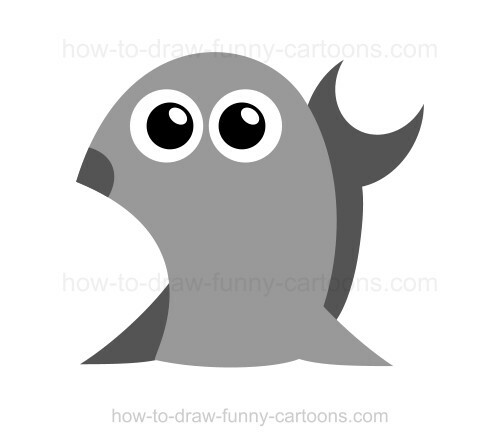 Just grab a pencil and a piece of paper and let me show you how to draw a cute version of this adorable cartoon animal. The body is the most difficult part to illustrate. 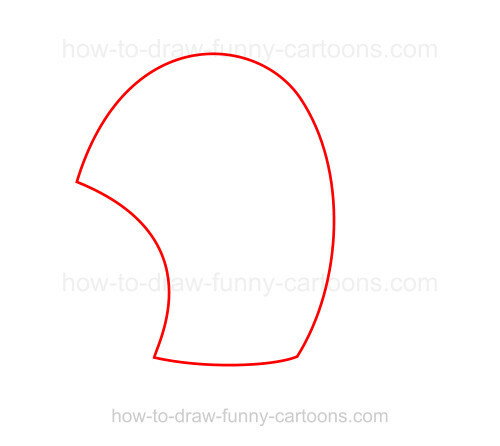 First, draw a small curved line on the bottom. Then, add a long curved line to create the back. The end of the line should create the tip of the nose. Finally, add another line to join both previous lines. 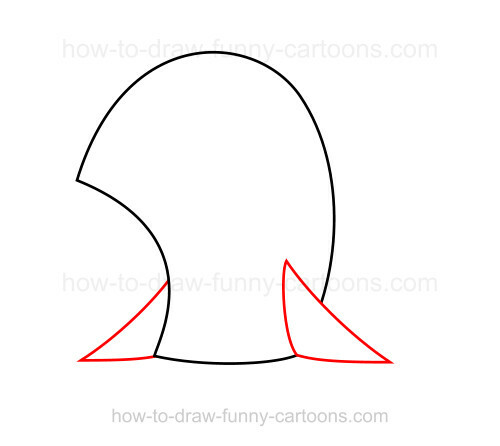 Fins are drawn using triangles. The triangle on the right can be placed over the body. 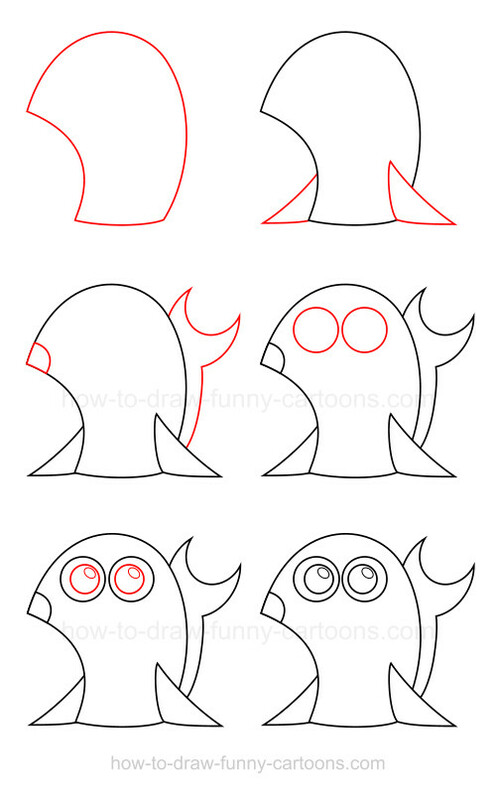 This is an easy tip to give more volume and perspective to the cartoon character. 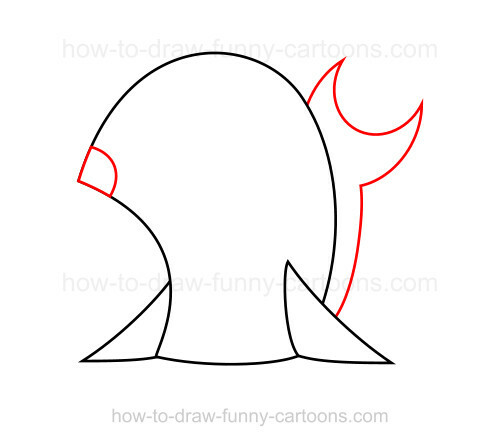 The tail is also made from curved lines. Create a long line with a shape similar to the one used to create the body. The nose is made from a small circular shape. A simple step! 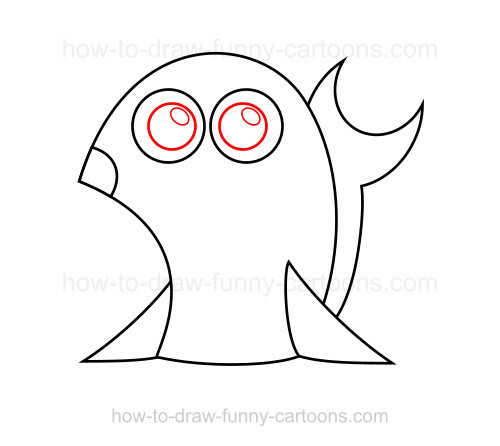 Draw two large circular shapes to represent the eyes. See how both shapes are close to each other? Make sure that the eyes are slightly higher than lower. Finally, draw two additional circles to illustrate the pupils. Small oval shapes can also be added to depict more realistic pupils. That's it! This cartoon character is now completely finished! All you need to do is add some colors if you want to.